Ten years ago, high-deductible insurance plans were uncommon. Deductible limits were usually set as high as one to two thousand dollars, and total out of pocket patient expenses would not top these amounts. Patient co-pays were five to twenty-five dollars, and coinsurance, if it did exist, was very rare. A world-wide recession has hit. Many people have lost their jobs, and those remaining have jobs that offer only the cheapest medical insurance. Deductible limits are set at increasingly higher and higher rates, and a new category of patient responsibility is taking shape: coinsurance. This is in addition to deductibles and co-pays. Now, patient family deductibles for major insurance companies are as high as $15,000. The normal copay range is from twenty five to fifty dollars, and coinsurance is common. All of these changes have resulted in increasingly large patient balances. Whereas ten years ago, you could go to the doctor, pay your $20 copay, and have no remaining balance, this is no longer the case. Today, even after the copay, insurance may apply the rest of the balance to the deductible. 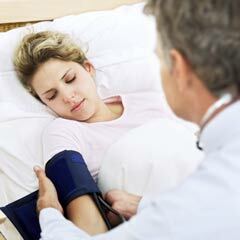 Otherwise the patient will have to pay a specified coinsurance amount. Not only has this been frustrating for the patients, but for medical billers as well. Larger patient balances mean more work in patient accounts receivable. 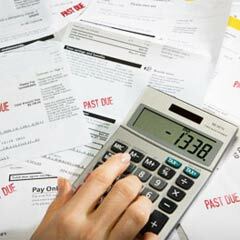 This usually results in a larger portion of unpaid medical billing collections. Moreover, different types of patient responsibility mean more likelihood that the claim has not been processed correctly. Higher patient deductibles and coinsurance amounts mean not only more work for medical billers, but for the entire office as well. In the front office, before a patient is seen, it's more important than ever to verify patient benefits. If, for instance, the patient has a high-deductible health plan, they won't be required to pay a copay. This may sound nice, but what it really means is that the patient will have to pay for the entire visit. Because of this, some offices require full payment at the time of service. It sounds easy, but rarely is. If a patient has to pay the full amount at the time of service, it means that the medical office has to know exactly what the patient owes, and how the insurance will process the claim. This requires a lot of extra work on the part of the medical biller. He or she has to get up-to-date fee schedules of each of the commonly billed codes for each insurance carrier, so the office can know what to collect. A few of the major insurance carriers have helped ease this problem by creating online claims estimating systems. Medical professionals can enter the codes and charges into an online system and receive an estimate of what the patient owes. This helps medical billers and front office staff know exactly what the patient needs to pay at the office visit. Another problem with higher patient balances is that it's more difficult to get patients to pay on monthly statements. This may make it necessary for your office to review your billing policies and procedures, including offering monthly payment plans for the patients who have more difficulty paying the entire bill. One of the most difficult parts of dealing with multiple types of patient balances is making sure the claims were paid correctly. Many insurance policies won't send routine services, such as yearly physicals, to the patient's deductible. These policies will generally send all other charges, such as sick visit charges, to the patient balance. Many policies have very complex benefit schedules for imaging, laboratory, pharmacy, urgent care, and hospital charges. Insurance companies sometimes process these claims incorrectly and send some things to the patient deductible or coinsurance that shouldn't be sent. This makes the medical biller's job more difficult, since they have to handle patient calls regarding potentially incorrect bills. call the insurance company to see if it was processed correctly. Often a simple phone call to the insurance company is the easiest way to resolve an incorrectly processed claim. When you talk to an insurance phone representative, you'll first have to verify the benefits and specify the claim and charge that you think was processed incorrectly. The phone rep will check the information based on what they have in their computer system. If what you're claiming is correct, they'll send the claim back to the processing department for review. Usually this gets the correct line item charges paid. But if the claim was processed correctly, there aren't really any further options. The patient may want to call the insurance company again, just to make sure that the information is correct, but many times they'll simply have to pay the claim. If the patient's benefits are incorrect in the insurance database, the patient will have to call their employer's HR department to make sure they have purchased the correct policy. The bottom line of having more, and larger, patient balances is that medical billers have to spend more time and resources on medical billing collections. For some tips and tricks to collecting patient balances without being pushy or rude, see our article Medical Billing Collection - Advice for Collecting Patient Balances.